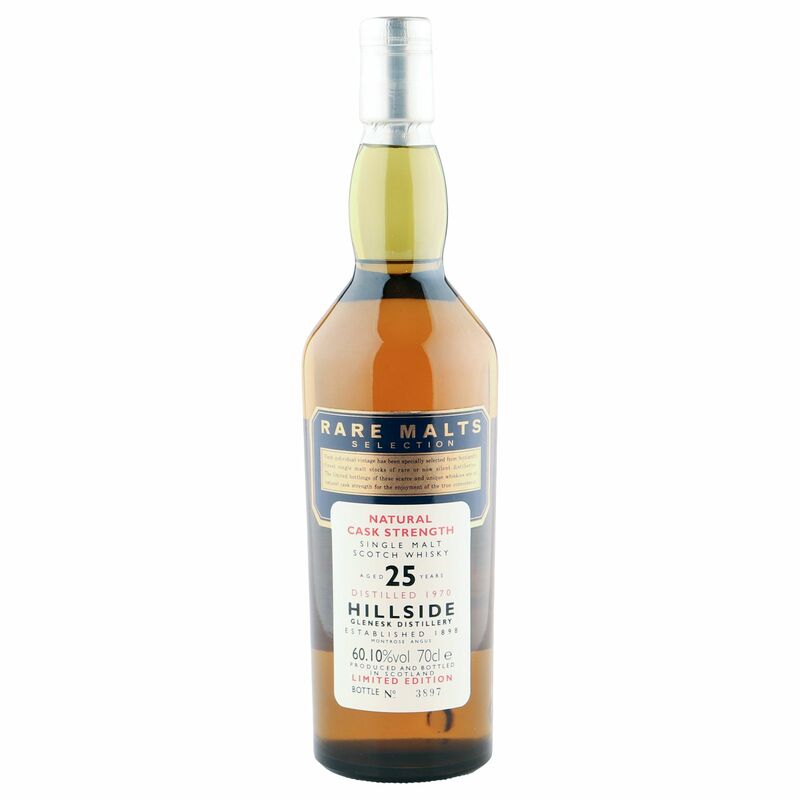 This much sought after entry in the Rare Malts series was distilled at the Hillside Glenesk distillery in 1970 and bottled at a natural cask strength 60.10% ABV in the mid-1990's after maturing for a quarter of a Century. Glen Esk distillery was founded in 1897 and has remained dormant since 1985. The distillery stands in the hamlet of Hillside, which stands 3km from Montrose where Danish Vikings violently, and repeatedly, attacked until the first millennium. This distillery has changed its name many times over the years (more than any other distillery) including to that of Hillside. Comes in good condition with a fill level of lower neck, presentation box is not supplied - see image for fine detail.